Your Kids Need Their Own Dentist, Too! As featured on the Miliary Mom’s Blog. Original link. “I just love taking my kids to the dentist!” said no mom ever. If I’m being honest, I don’t like taking myself to the dentist either. All those scraping tools and drilling noises make me nervous, so I wasn’t looking forward to taking my kids to the dentist for the first time. That is, until I discovered a great pediatric dental practice. Speaking from personal experience, I highly recommend taking your children to a pediatric dental practice vs. a family dental practice. Pediatric dental practices are super kid-friendly, with brightly colored walls and cartoons playing on a television in the ceiling (if you’re lucky, maybe even an Xbox in the waiting room!). I mean, who wouldn’t want to go here for a check-up and cleaning?!? 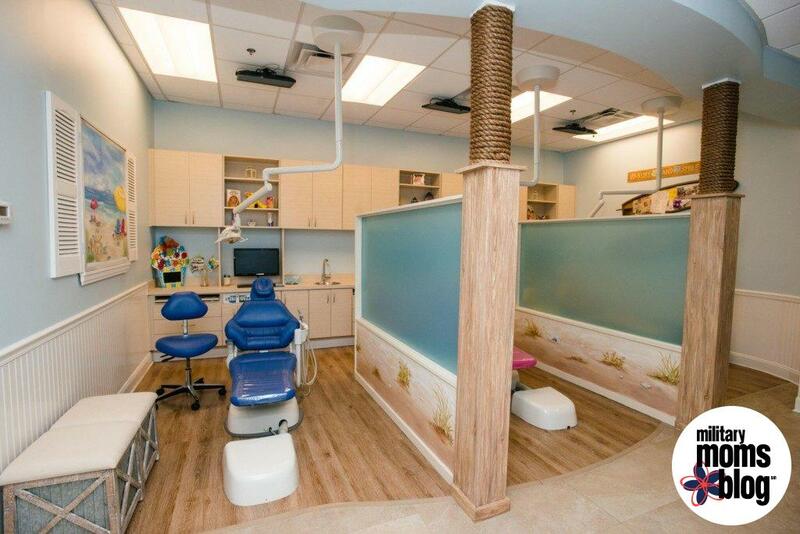 This fun environment immediately puts children at ease and makes going to the dentist a lot less scary. Both of my kids began going to a pediatric dentist at age 1. I’m so glad that we started those visits when we did because laying that foundation has made them super relaxed, and even excited, about going to the dentist! Since February is National Children’s Dental Health Month, I took the opportunity to talk with our family’s pediatric dentist, Dr. Jila Mahajan (with Kids First Dentistry in Jacksonville, Florida), to discuss the importance of establishing good dental habits in children as early as possible (SPOILER ALERT: Baby teeth ARE important! ), tips on brushing and oral hygiene practices, and how (and when!) to tackle pacifier and thumb-sucking habits! Dr. Mahajan: The American Academy of Pediatric Dentistry (AAPD) recommends that children be seen by a pediatric dentist by age 1. While this may seem early, establishing a “dental home” by age 1 is important so that as your child’s primary teeth begin to come in, they can be monitored and evaluated at regular intervals and also to address any problems or concerns as they arise. Dr. Mahajan: Pediatric dentists have an additional two years of training and are dedicated to providing oral health care to children from infancy through the teen years. Young children, pre-teens, and teenagers have very different needs, and pediatric dentists are uniquely qualified to provide the specialized care they need. Pediatric dentists are extensively trained to deal with the behavioral aspects of children and to guide their dental development. They know how to gain children’s trust and to make them feel comfortable with the treatment they are receiving. 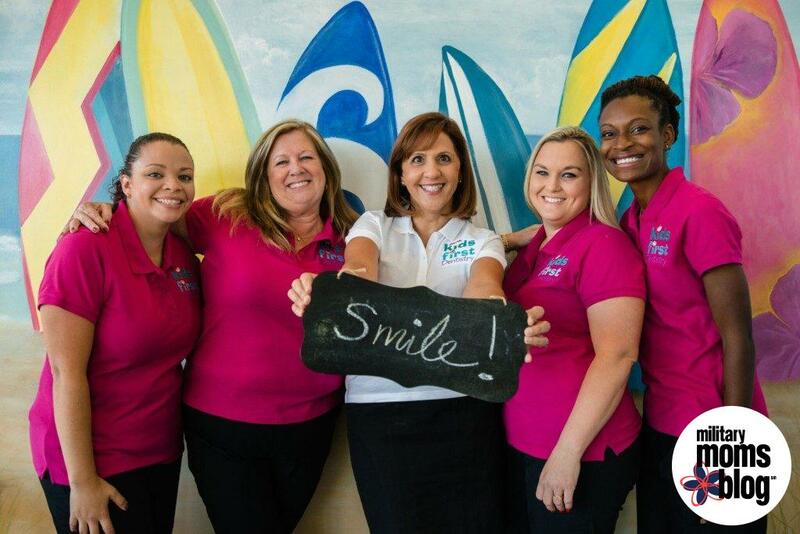 In addition, pediatric dentists have had experience with various sedation techniques and are up-to-date with the newest and safest sedation procedures. They are also highly qualified to treat special needs children, including those with mental or physical challenges. Click here to find a pediatric dentist in your area. WHY BOTHER TAKING CARE OF BABY TEETH WHEN THEY’RE GOING TO FALL OUT ANYWAY? Dr. Majahan: Primary teeth can stay in the mouth until age 12 or older, and they are important for speech and for allowing the child to chew. Tooth decay is the most common chronic disease in children. Untreated decay in primary teeth (also known as “baby teeth”) is one of the main reasons kids miss school and perform poorly. It can lead not only to a dental infection or abscess, but also to a more dangerous systemic infection creating serious health issues. Primary teeth also hold the space for the permanent teeth that will grow in eventually. Early loss of a primary tooth will result in orthodontic problems in the future. Therefore, it is vitally important to take care of “baby” teeth with good hygiene and regular check-ups! HOW DO I ESTABLISH A GOOD BRUSHING ROUTINE? Dr. Mahajan: Daily cleaning of teeth should begin as soon as the first baby tooth erupts, using gauze or a soft infant toothbrush after feedings and at bedtime. If you start from the time your child is very young and make dental health fun for them, they will play along. Buy fun toothbrushes, flavors they love, and even have a contest to see who can get the most sparkly teeth! For children under 2, I recommend using a non-fluoridated toothpaste as younger children tend to chew on the toothbrush and swallow a lot of the toothpaste. Once a child reaches 2 years of age, I like to introduce a fluoride toothpaste into the hygiene regimen. It is very important to only apply a smear of toothpaste and not a pea size amount. If you feel your 2-year-old is still swallowing too much toothpaste, then do not switch until later. WHAT IF MY CHILD REFUSES TO BRUSH HER TEETH? Dr. Mahajan: While using the fun approach to brushing will work with most kids, some genuinely dislike having their teeth brushed. For those kids, I would use flat out bribery! Let your child watch a favorite show, read a favorite book, or play with your iPad, but only after they let you brush their teeth! If you still encounter problems brushing your child’s teeth, a pediatric dentist can individually counsel parents who have truly challenging cases. If you are not able to maintain proper hygiene, your child could end up with decay. In a case like this, you should be extra vigilant with diet. A combination of poor diet and poor oral hygiene can create a very fertile environment for bacteria! ​Dr. Mahajan: Sealants are one the best preventive measures available to the dental professional. Studies have shown that sealants can decrease the chance of cavities in permanent teeth by 70%. Sealant material is applied to the cavity-prone surfaces of back teeth, molars, and premolars. They seal the grooves in these teeth and prevent bacteria from lodging there and creating a cavity. Sealants are safe, effective and very easy to place. Your child should get their sealants as soon their first permanent molars erupt, usually around age 6. HOW AND WHEN SHOULD I TACKLE THE PACIFIER/THUMB-SUCKING HABIT? Sucking a thumb, finger, or pacifier is a perfectly normal reflex for infants. If the habit continues past the age of 3, it can interfere with the proper growth of the mouth and alignment of the teeth. I advise parents to start working on removing the habit as early as possible, ideally between six and twelve months of age, by replacing it with a favorite stuffed toy or blanket for comfort. It is smart to tackle the issue early for the child’s dental health and also before you hit the “terrible twos” and it becomes a battle of wills. For thumb sucking, it is more of a challenge. However, it is important to try and stop the habit by age 3. I recommend that you start by trying to change the behavior. After the age of 2, start to talk to the child about being a big kid. Start praising them when the behavior is not happening rather than drawing attention when it is. By the time they are 3 years old, you should be able to use a reward system to discontinue the habit. Give your child a small reward daily, a larger one for a week and an even bigger prize for a month. If all attempts to discontinue fail, your pediatric dentist can construct a thumb sucking appliance for you. So in honor of National Children’s Dental Health Month, establish those good dental habits and schedule your little one’s check-up today! Dr. Mahajan is a certified pediatric dentist with extensive training in sedation dentistry, and dentistry for infants, children, and special needs patients. Practicing in the Jacksonville area since 2001, Dr. Mahajan earned her undergraduate degree from George Washington University and received a Doctorate of Dental Science from Columbia University’s College of Dental Medicine. Dr. Mahajan then completed a two-year residency in pediatric dentistry at the Medical College of Virginia. To further her training, Dr. Mahajan trained in conscious patient management with IV sedation at the Montefiore Medical Center. Dr. Mahajan keeps up-to-date with the latest technology in pediatric dentistry and maintains membership in the American Dental Association, Florida Dental Association, Jacksonville Dental Society, The American Academy of Pediatric Dentistry, and the Florida Academy of Pediatric Dentistry. Jacksonville Zoo Annual Pass Raffle!